Kent and I grew up in a small farming town in the middle of Michigan, about an hour and a half from where we now live by Grand Rapids. When we were there recently, we drove by a stinky factory farm on the way home. This led to the discussion of whether or not factory farms smell worse than a farm where animals are raised more naturally. “When graduating from high school, I studied agriculture in college and wanted to farm when I completed my college. During these years we had some sows and finished their pigs as a means of getting a better price for the grain raised on the farm. This was the time (mid-70's ) when confinement of hogs began entering the picture, chicken confinement had been around for one or two decades, and some sections of that business were making large amounts of money. Wanting to farm and not having access to much acreage, my two older brothers and I slowly entered the hog confinement business. Confinement of livestock allows you to raise many more units with minimal profits per unit, and as with all business, the more units you produce the more you profit when the costs are controlled. This is where the big changes began taking place. Feed became an area where the most savings could be made and all sorts of feed substitutes and additives were being used. Historically our livestock became the dumping grounds of byproducts, anything with some nutrient value was considered a feed. Question#2: What was that like? How were the animals treated? What did they eat? Where did you get the food? Where do many farmers get the food? Being young and right out of college and excited in being in business for myself, I pretty much sucked in the knowledge offered about the confinement industry as being credible. Animals were put in buildings with cement partitioned floors which allowed the manure to pass through and into a holding pit. Space per animal was limited; the more animals you could cram into a small space, the more efficient you supposedly were. Our feeds consisted of corn and soybeans grown on the farm and a vitamin and mineral pack which was purchased. This remained the feed source for as long as I was in the business on our farm, although this was not the norm the industry heeded (as was mentioned about the use of many byproducts). Today there are many brokerage firms offering every imaginable byproducts that are highly accepted. To name a few, ethanol byproducts, stale or improperly made/outdated and improperly handled foods (gum, cookies, chips, cakes, flours, candies, animal byproducts, breads etc.) are all used to cheapen or reduce feed costs. An interesting fact to the feeding situation is that feeding alfalfa hay to hogs greatly improved health and performance (a practice that was widely used before confinement) was totally ignored because of the problems made by the wasted hay that entered the manure holding pit causing problems with manure handling. Many things that were proven but not convenient were forgotten by confinement systems. Read the rest of this very interesting article: Confinement farming and returning to natural methods. This type of meat can and does make people sick! This is why we do not eat conventional meat or drink conventional milk, and why we are willing to pay more for these foods from a farmer we trust, while being more careful with our food budget in other ways. Can't find a farmer you trust near you? Where to buy healthy, safe meat online. Have you read my friend, Anne Sergeant's, article called, Eating Healthy Shouldn't Cost and Arm and a Leg? I’m in SW Missouri, born and raised and I can attest to the move to “factory” farms. We used to have several dairies close by. When I was young we would take our gallon glass milk jug to one of our local dairy farmers and fill it up with raw milk from his cooling tank. It was cheaper (YES raw milk was cheaper) than store bought milk. Government regulation stopped this practice and in just a few short years those same regulations made several dairies dwindle down to ONE and it shut down about 10 years ago. My father-in-law started out as a dairyman, when he was regulated out of that job he became a butcher, my husband’s family owned and operated a custom processing plant for close to 50 years. We were essentially regulated out of business in the processing plant in the early to mid 90’s. We couldn’t afford to meet regulation under HACCP. Government regulation has wiped out most small food business because there are NOT 2 sets of regs for large business (like Tyson) and small business, ALL must meet and maintain the same level of compliance. When big business gets into the pockets of politicians this is what happens. I now drive almost 50 miles round trip to pay $7.00 a gallon for raw milk (I’m VERY grateful for my supplier) and we raise ALL our own meat and have the ability to process that meat with equipment saved from the family business. Thank God we are in a situation to do these things!! I was wondering why animal rights activists aren’t all over this, or maybe they are but we just don’t hear about it? PETA comes to mind with all their celebrities. You would think they would bring this to light. It amazes me that many people are so upset over stuff like puppy mills and farm animals don’t seem to matter to them. Don’t get me wrong, I don’t want dogs being mistreated but we don’t eat dogs! The condition of farm animals directly affects us. Anything or anyone that gets people to take a good look at what they’re eating deserves some credit. I was going to ask a commenter what “NT” stands for, but I see their post is gone. Hmmm, when did you see that comment? I haven’t removed any…? My bad! It was in the Dr. Oz controversy. Sorry! I saw your no knead bread recipe on Mother Earth News. I just stumbled onto this website and have added it to my favorites. I grew up on a farm in the 50s. We kept a hog in a pen one year. Big mistake – eventually, it adversely affected the other livestock. The hens were never allowed to forage but they did have sunlight. We fed them chicken feed and table scraps. And no, chickens are not vegetarians. We pastured the cows except during winter when they were fed corn silage and hay. We milked twice a day. During milking, the cows were fed grain, mostly rolled oats. All livestock need the mobility to forage new turf. If the hogs & chickens need to be penned, then the pens need to be portable. My dad farmed the way his dad did. We didn’t know about the need for hogs & chickens to be moved to new forage areas. A great piece and very interesting commentary. It is so out of control as to what they can feed this animals and get away with. sometimes i wonder if some of it isn’t ignorance. it’s probably obvious on the outside that it’s not as good for them as pasturing, but how bad it REALLY is may not be as obvious. maybe they’re willing to make what may seem like a small sacrifice on the outside for a profit if they don’t think it’s causing too much harm. i say this without ever having seen a pig confinement setup. from your description, though, it sounds like it would be impossible to not know that this is very, very bad for the animals. i get so sad when i see all of this stuff. it’s not only being done to the animals, but it’s also being done to the people who eat the animals. we go to the grocery store and buy meat and dairy products with pretty pictures of rolling hills and cows and chickens roaming around free completely oblivious to the fact that we’re eating food that has, essentially, been manufactured rather than grown. thanks for spreading the word that this isn’t how it really is! This is where Mr. Joel Salatin and his Polyface farm really excel. IMHO, this is America’s master farmer – smart, profitable and honorable. Thanks, Kelly. This is a really powerful piece. If the New York Times published something like this (which they should) I think people might really change their eating habits. People are purposefully being kept ignorant. I will (reluctantly) buy conventional grains and produce if I have to, but I almost never buy conventional meat and this is why. Truly appalling. I think if people knew, they would pay more for better meat (even if it means eating less meat, which is the choice I make). Also, do you have an email listed on the site? I made a comment on the Steroid post that I thought you’d like to see, but I don’t think you’re checking those comments anymore. I see all comments, no matter how old the post is. I’ll get to it as soon as I can. Working VBS this week and behind on my inbox! Sorry! No problem, I know you’re busy! I just wasn’t sure if you saw old comments. Good to know! We’ve raised hog for almost three generations. Hog do smell no matter where they are and they love the mud no matter how you try to keep them clean. ( They can’t sweat!) An interesting fact is that if given the room they will use one particular area to poop and you can’t change that once they start. Funny huh! A little history with us in the 80’s we thought we need a confinement building so we remodeled a barn. From the get go we hated it. We hated the smell on our clothes and hated working the stubborn pigs plus all the expensive remodeling. Needless to say we quit using it 10 years ago and now only pasture-raise hogs. Our hogs love alfalfa and we try to give them hay in the winter farrowing also. I wish I could show you a photo of a contented sow with piglets on tall alfalfa pastures. By the end of the summer they pretty much have it eaten down low and will make puddles for mud. I don’t think hogs are ever clean but they can be very smart and funny. We have had hogs that loved to have their ears rubbed and would lie down just to have you rub their belly. 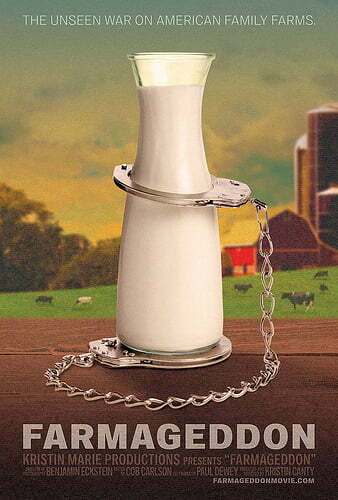 It is difficult to talk to some of our fellow farmers who still use confinement. Deep down we think how can they stand it with their conscience? Well I’m a bless-er not a curse-er so try not to curse them. They really don’t know anything different and have swallow the chemical the supplement companies’ ideas and so hard to change paradigms. They’re really stuck and can’t get out without financial loss. I have no doubt that naturally-raised pigs are healthier… but. It kills me when I hear people say pigs are naturally “clean” animals. The farm where I pick up my milk has “pastured” pigs (they roam around an acre or two, are fed some grain but also tons of old produce from the grocery store) and those pigs are NASTY. They wallow in their own filth all day (by choice- they have other options) and yes, they stink (the place itself does not stink like I’m sure a factory farm does, though). One time I saw one pig urinating while another pig stood behind it drinking the urine. I don’t eat much pork anymore. …And male goats pee on their own heads to make themselves more attractive to the females of the species. So what? It doesn’t have any impact on the meat. Dr. Andrew Weil and others have written about the curative value of drinking urine, but I’m not going there myself. Still, the fact that something is “waste” just means that it needs to go someplace else. The body carries its own wastes out via urine, stools, and sweat, but those materials are nutrients to someone else, such as all manner of beneficial bacteria and decomposers in the soil. I think people need to change their mindset about dirt, germs, etc, and understand that so-called waste is just something that is out of place and needs to go where it is needed. This planet earth is a closed system, everything made my Nature belongs here and has a purpose. Manure piles up in a feedlot, but that doesn’t change the fact that manure is a very valuable resource on a well-run farm. It’s just out of place in a feedlot. Spread out thinly on fields, it is delicious food to the soil ecosystem. I met a friend’s pig recently when I visited her little farm. I was amazed at how huge and beautiful she was, and how incredibly tough her hide was. I understand why they make brushes out of boar’s bristles. That pig is well-equipped to live outdoors. Standing on concrete all day? Not so much. What aching feet and hips they must have. You’d probably die if you saw me pick up chicken poop with my bare hands. I sometimes wear nitrile gloves, or pick it up with a tissue, but sometimes I just pick it up with my hands and then wash my hands. Any pathogens in the poop get washed into our septic system, which is full of bacteria that feed on the stuff and break it down into nutrients that the plants in the pasture can use. It certainly doesn’t hurt me. I realize that we have to not sound “preachy” about this but sometimes people kinda need to be yelled at, and no I have not done this….yet. My husband and I own approx. 4.5 acres. We raise goats for milk, chickens for eggs, and broilers for meat (pork, beef and meat goats have all been raised on our place at one time or another). We also have a large garden and are trying to start an 1.5 acre truck patch. We have slowly fenced in more and more yard for our animals to feed on. We are also trying to figure out a way to grow our own corn to verify that it is gmo free. GMO corn is very difficult to find around here, I know because I have been asking for it for 4-5 years. At least now most people know what I am talking about. We both have jobs away from our home and our kids are married and in college. We also work our rear ends off. I cook everything (95% or so) from scratch because I am gluten intolerent and my husband has ecxema that I can’t seem to get a handle on. I make medicinal herb infusions and tinctures. I am trying soap and lotions. We have tried to give up every chemical that we can and have the ability to. Yes, it is hard work but I believe it is NOT more expensive. We have to room to do what we do (and wish we had more to do more) but anyone can plant some plants or seeds. 100 square feet will grow alot of food but we have to get passed what looks “proper” or ok. What about putting plants in the flower beds? Lettuce can be beautiful. Squash may grow better because to flowers may confuse the darn squash bettles. As a country there are many things we could try and do but we don’t because it takes time or the one I just love to hear “but, how would that look to the neighbors.” Of course, my response is “who cares,” but I know that that statement is a real issue. I love your blog because it is like reading something I have said, thought, or written. I try to not to offend people knowing that it will just turn them off, but sometimes how in the world do we change anything? I have finally started doing what I can for my family and friends who want to eat good food or use chemical free lotions. I will suggest someone try something instead of a prescription and say “it won’t hurt you so what do you have to lose?” Actually just said this to someone who is trying to get rid of athlete’s foot. They were going to call the doctor for a prescription. Unfortunately, once the knowledge of healing ourselves is lost, it is lost. I am trying not to let that happen. I am just in the beginning months of trying to become a Master Herbalist. It takes time but I figure I am only 45 so what do I have to lose. We only live once. Thanks for letting me vent. Keep writing and challenging conventional thoughts. Jenny, I just LOVE what you have said. I tried to get my children’s father to move to Oklahoma or Kansas (closer to my family) to do just this type of living. Needless to say, I am here with our children and he is not at this time. I believe that I am slowly removing the veil from his eyes and he is working to make a transition here. What books, websites, or pamphlets are you using? I would love to hear. How sad and short-sighted, truly.